Processmaker is workflow and Business Process Management(BPM) Software Tool and it is Open source. Processmaker is very useful for small to medium-sized organizations for creating different processes based on approval system which includes Finance,HR and Operations.By using processmaker we can design forms,create documents,create users and roles and create routing rules. Processmaker can be integrated with business intelligence (BI), content management (CMS), and enterprise resource planning (ERP) systems.Processmaker has been in great demand in Financial and Insurance Related Companies.In many government applications also Processmaker has been Implemented. 2)Now install library required for these module. 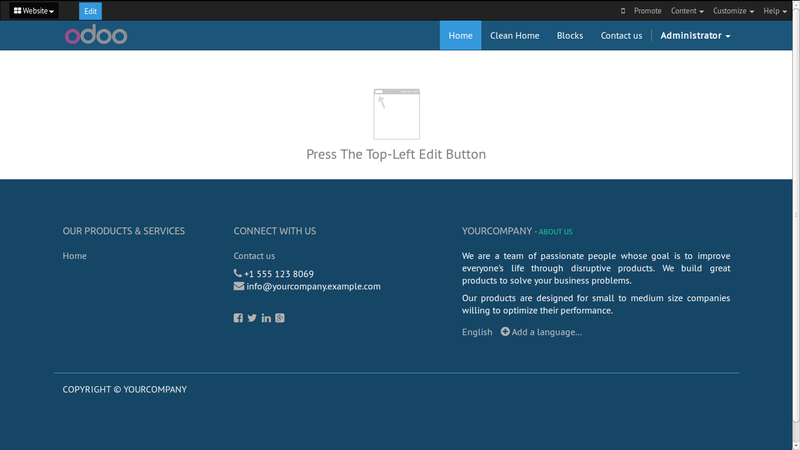 3) Create new db theme_clean. You will see there will another db created with your db_name_migrated. Open this db in odoo 8. So that was all about what odoo provides to its users,to install this manually on your ubuntu.Just follow this basic step. once you are done creating user and role,exit from postgres using exit command. 9. Edit the rc.local file so that whenever the system reboots it identify the odoo server and keep running the odoo nano /etc/rc.local. Yes thats it!!!!! Now you are ready to play with ODOO. 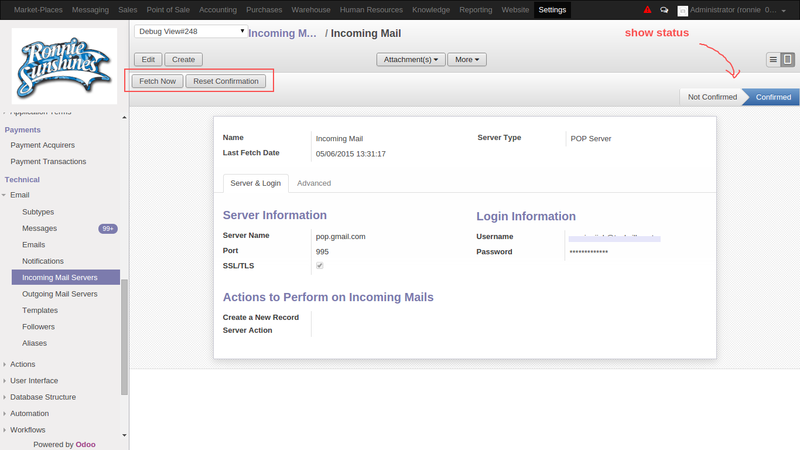 In this tutorial will be learning how to setup mail servers on Odoo using Gmail account. 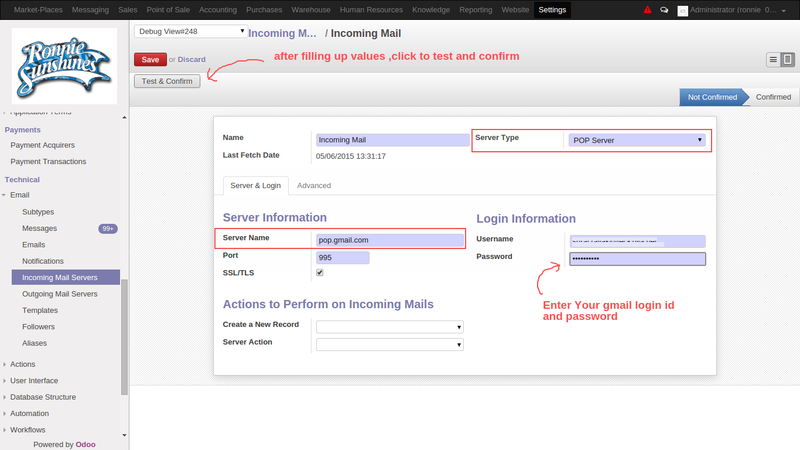 Configuring mail server is one of the easiest thing in odoo,just follow the below steps. I have already setup one entry ,so you can create new and setup using your gmail credentials. Lets have a short description of some mandatory fields. Login Information : Enter Your Gmail Id and password. After Filling all the fields,just click on Test and Confirm.It will Test the connection using all the filled values and confirm it only if values are appropriate(See the below Image). 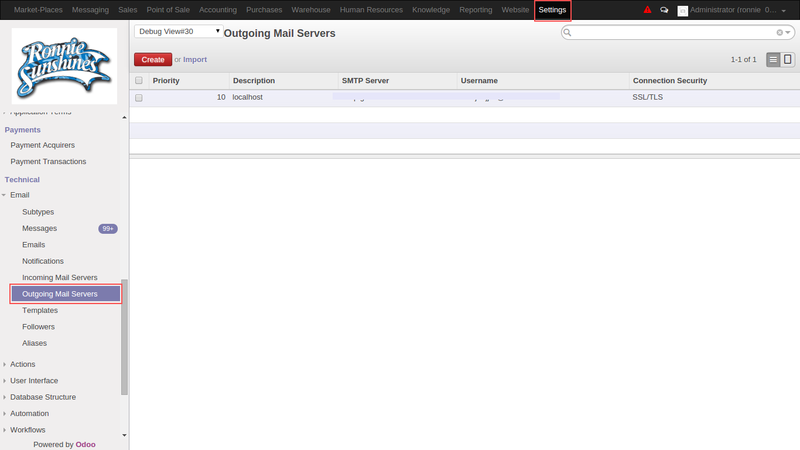 This was all about the Odoo Incoming mail server.So Let us begin with are next step on how to setup Outgoing mail server. Here i have already created one as an example ,you can setup your own. Short Description of mandatory fields. 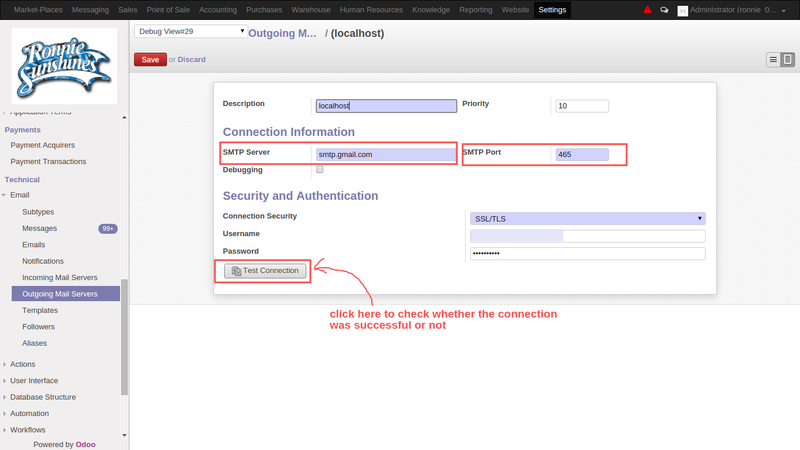 SMTP Server : The Pointer to your SMTP server,(for example : smtp.gmail.com). Password : Enter your Gmail password. Once all the ,mandatory values are filled.Save the record and Check whether connection is successfull.If the connection is successfull ,odoo will auto sent mail to specified Gmail ID. 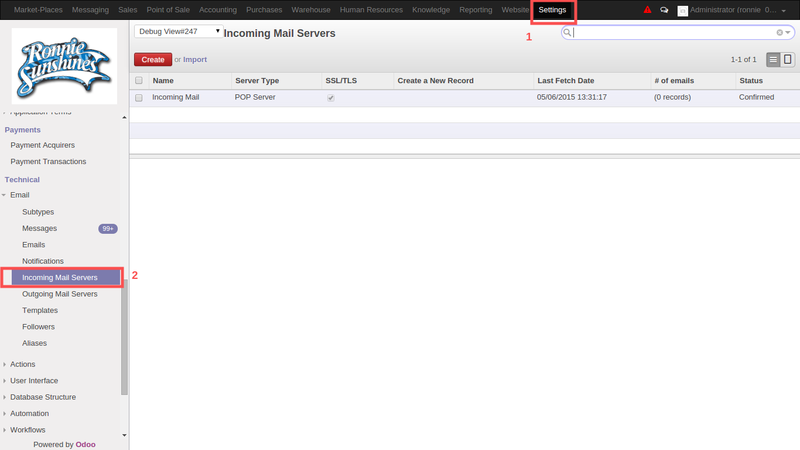 You can setup Auto Mail sender in odoo under Settings>Automation>Scheduled Action>Search for “Fecthmail Server” and set the time gap.